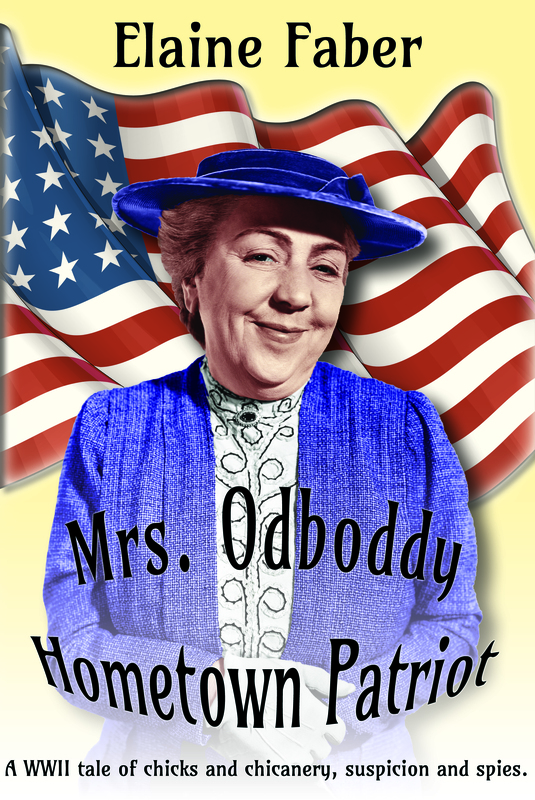 Elaine’s latest novel, Mrs. Odboddy-Hometown Patriot a WWII of chicks and chicanery, suspicion and spies is a riotous romp with Agnes Odboddy, a self-appointed scourge of the underworld. Agnes fights WWII from the home front, collecting cans, volunteering at the Ration Stamp office and knitting argyles for the troops, while seeing conspiracies and Nazi spies under every cabbage bush. 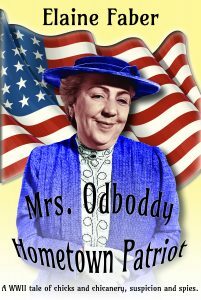 When Mrs. Roosevelt unexpectedly comes to town to attend a funeral, Agnes is called upon to prove she is, indeed, a hometown patriot. 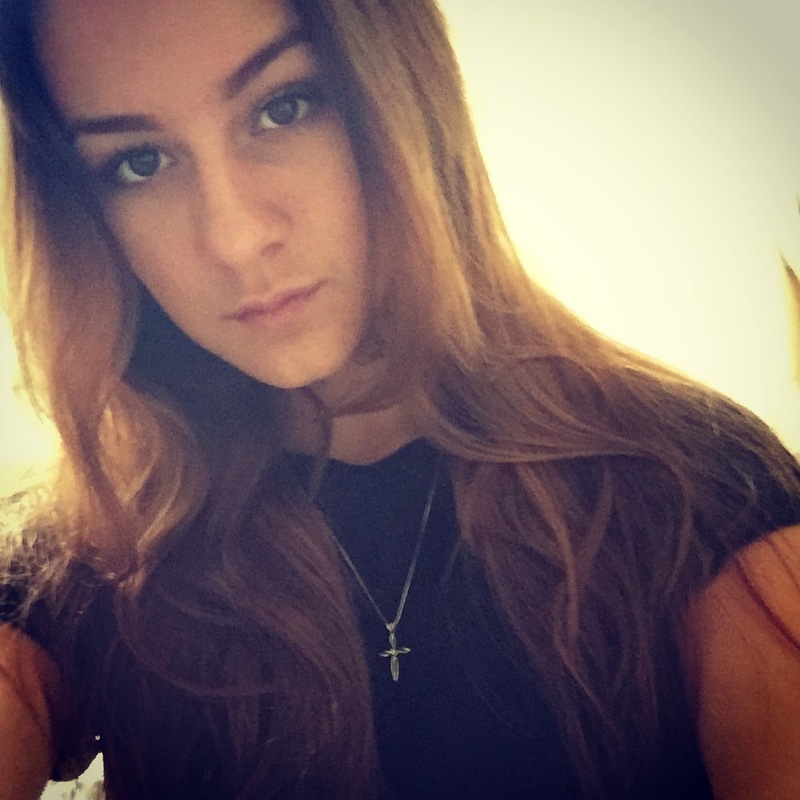 My friends call me Agnes. I live with my Siamese cat, Ling-Ling, and my granddaughter, Katherine. She works at the Curls to Dye For Beauty Salon and does the hair and make-up at the Whistlemeyer Mortuary, here in Newbury. 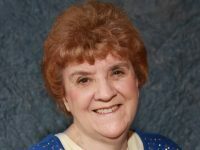 Clyde Hoffelmeister just passed away. He fell off the roof trying to save a cat. Don’t worry. The cat survived. Clyde didn’t. I spend my time volunteering. Several times a month, I go to the Boyles Springs Military Base USO, just up the Northern California coast. I also roll bandages, knit socks for the military and collect paper on the paper drive. My favorite service is at the ocean watch tower watching for a Japanese invasion, and let me tell you, that becomes quite an adventure. As I’m sure you’re aware, every citizen is a home front warrior and must be alert to Nazi-Jap spies. They’re everywhere! Speaking of Nazi spies, I told Chief Waddlemucker, the Chief of Police, that I’m convinced that Sofia Rashmuller from our knitting circle at the First Church of the Evening Star and Everlasting Light is a Nazi spy with bright red hair. My red hair? Quite natural, I assure you. I may freshen it from time to time with a henna rinse but I would never dye it, because only fast women and European spies do that. I should know. I saw enough of them during WWI as an undercover agent for the US government. My stars, yes! We saw some action, but I never hurt anybody. Well, there was that one time… Of course, I can’t talk about the details. If I did, I’d have to kill you. Did I mention that I also volunteer at the Ration Book Center, sending out the ration coupon books to the neighborhood? I’m sure I ran across a Black Market conspiracy this week, while addressing envelopes. Someone is stealing ration books from the mailboxes at empty houses. We’re planning a secret mission to catch the thief in the act. How exciting! Now that we’re at war, we must all endure rationing. Imagine! Only one pound of coffee per adult every six weeks! And the price of eggs! Actually, I’ve solved that problem. I’m getting six chickens this afternoon. I’m not quite sure what we’ll do with them until I get a coop built. Guess we’ll just stick them in the bathroom . They’re just chickens, after all. What could possibly go wrong?